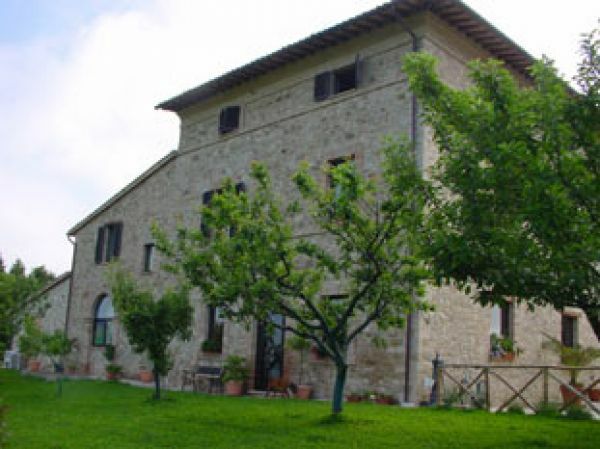 A renovated 18th century country home at Todi. This fantastic property of approx 550 sqm offers peace and comfort, nature and culture. It is an ideal place for excursions among the most evocative landscapes of Umbria, but also a special area dedicated to art and entertainment. This beautiful property has a private pool and 1 hectare of land. * All rooms are spacious and with panoramic views, decorated with taste and originality. -2 additional suites with bathroom. * The property includes a swimming pool of 13x6 m, a brick pizza oven and 1 ha of land.